Relocating to a new city can seem like a monumental task. 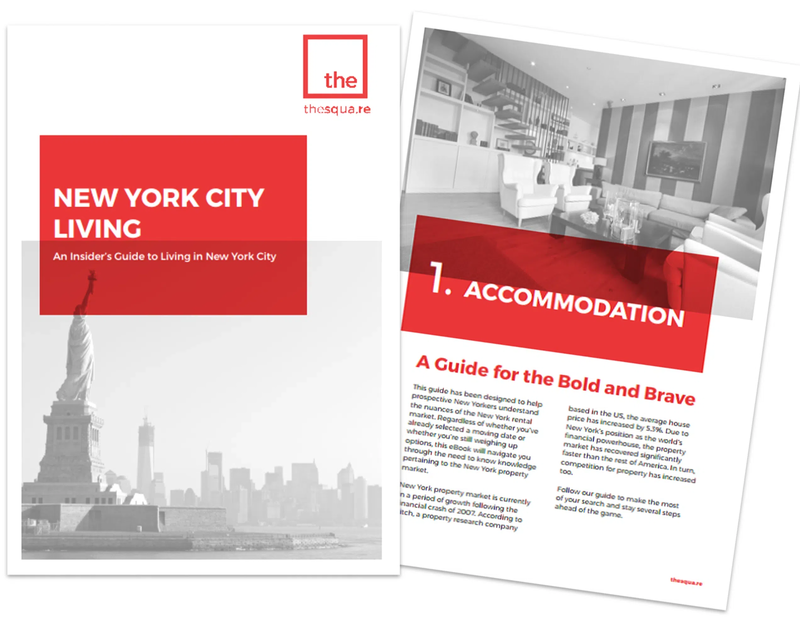 This eBook is a free, comprehensive guide to help new New Yorkers get settled into one of the most iconic cities in the world, offering practical tips and advice for getting the most of your time in New York. Scroll to the end to download the full New York eBook. Moving to New York means finding a roof over your head and whether this means a one-bedroom property or three, there are certain steps you need to take in order to get settled into your new home. Moving to New York involves deciding which area is best suited to your needs, what type of tenancy you should pick and what other costs you must keep in mind when sifting through accomodation options in this city. The 2018 New York Relocation Guide will help you decide which part of the city you should live in, thanks to our extensive area guides. We help you find the best places to stay in New York using practical, actionable points, for example, how to make sense of your rental lease agreement in New York. Whether it’s corporate housing you’re after or a permanent move to the city, this is your ultimate guide to New York city. Enter your details to download the full eBook. Moving to New York means understanding how to get around town. 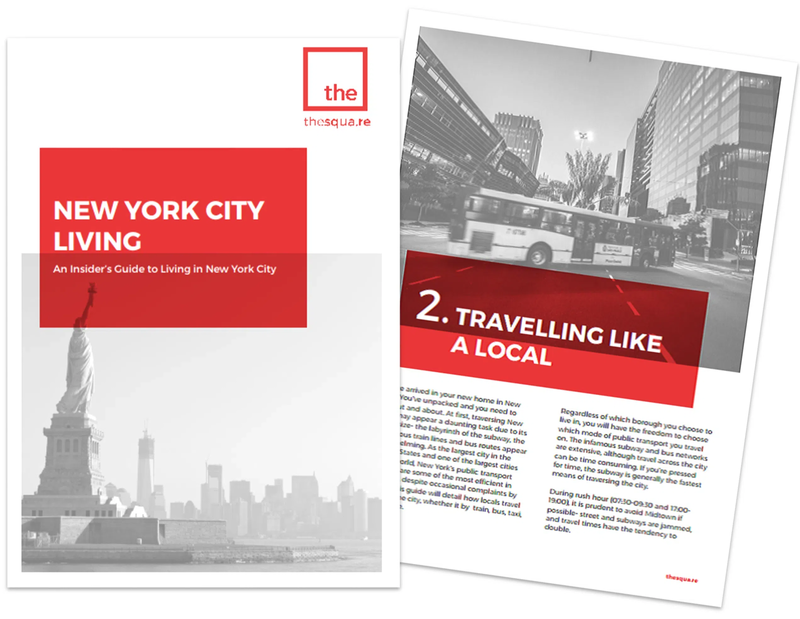 The 2018 New York relocation guide explains each of the different modes of transport available to you including the subway, trains, busses, taxi, car hire and bike hire. Get acquainted with the New York Unlimited ride metro card and lower your costs across various modes of transport. If you plan on driving around the city, then we will help you understand how to get an American driving license and how to insure yourself. When you move to a new city, being unsure of how much everyday items and services cost can lead to you paying a lot more than you need to. 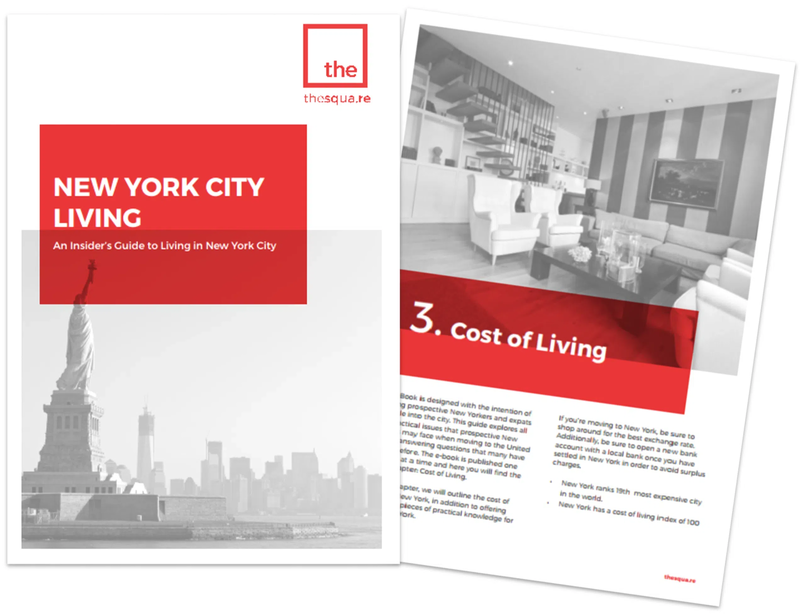 To help make everyday cost of living clearer for someone new to New York, chapter 3 of the 2018 New York relocation guide will cover topics such as the cost of food, cost of rent, cost of electricity, entertainment costs and other everyday decisions that will have an effect on how much it costs you to live in New York. Moving to New York with children brings with it another set of considerations. 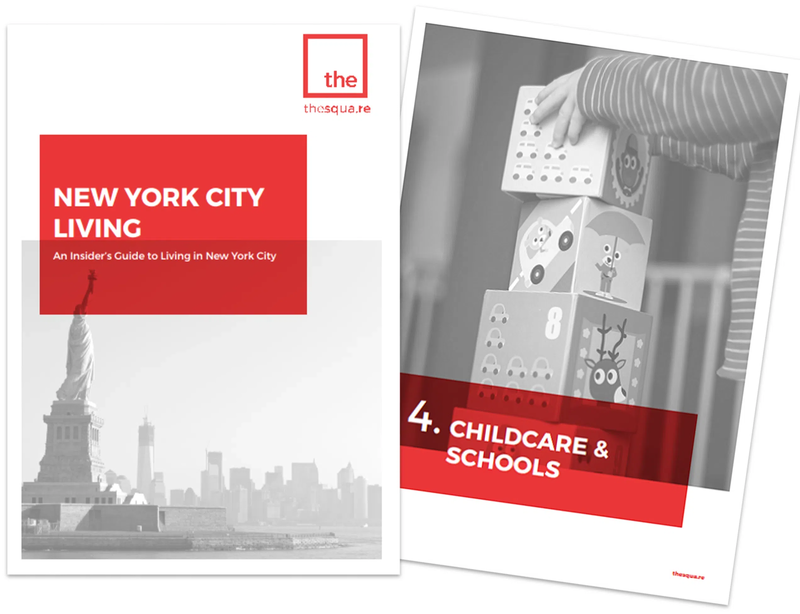 If you are moving to New York with a small child, then read chapter four of the 2018 New York relocation guide to understand the cost of childcare in New York. Read through all the options that are available to you including day care, home based care, childminders, nannies and more. Those with older kids will want to read about the various schools in New York and especially the difference between private and state schools. Find out the best time to apply for admission and see how each school ranks. This relocation guide also brings to you the top schools for expats as well as ways to have fun in the city with your children. Enter your details to instantly download the full eBook. New York is a city that is never short on places to see and things to do. Whether it is sights such as the world famous Statue of Liberty or other smaller attractions, there is always something new to discover in this vibrant city. There is no lack of famous sights in NYC and you will find plenty of tourist attractions all over town. 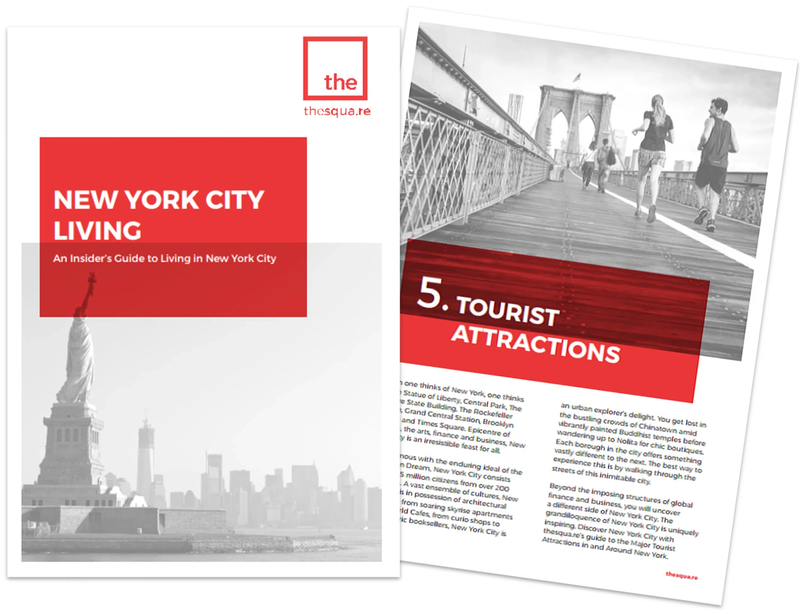 If you are looking for places to visit in New York then chapter five of our 2018 New York relocation guide will give you plenty to explore.